Daylesford Locksmiths – Daylesford Locksmiths are the very best Locksmiths in the Daylesford area. To hire a Daylesford Locksmith, contact Daylesford Locksmiths. 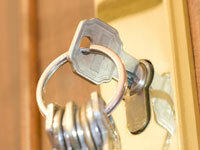 DAYLESFORD LOCKSMITHS: WE CAN FIX ANY KEY, LOCK OR LOCKSMITH PROBLEM YOU HAVE! No matter what lock or key issue you are having, we can help! We are ready 24/7 and cover all over the Daylesford area for rapid response. We can give you a quote over the phone to solve all of your locksmith needs including the newest in high-tech security. We are the best Emergency Locksmith in the Daylesford area, and we take pride in that reputation. We make sure that we offer only the best in customer service, and that includes making sure we have the knowledge and training to deliver even the newest technology to our customers. Contact us today to start enjoying the comfort and peace of mind that comes from having only the best security possible. We have the solution to fit all your needs- keys, locks and safes; and we work on any lock you need, from single residential issues to large commercial enterprises. • We sell and install home safes. DAYLESFORD LOCKSMITHS– WHY CHOOSE US? • All our team members are professional locksmiths. Everyone gets locked out at some point. Nothing is worse than the frustration of having to wait to get on with your day. With us, the wait is over; our mobile locksmith teams will get you in and on your way fast. We can even cut new keys right on site, and all for an affordable price.